The first novel from Sarah Jessica Parker’s new imprint, SJP for Hogarth, A Place for Us is a deeply moving and resonant story of love, identity and belonging. 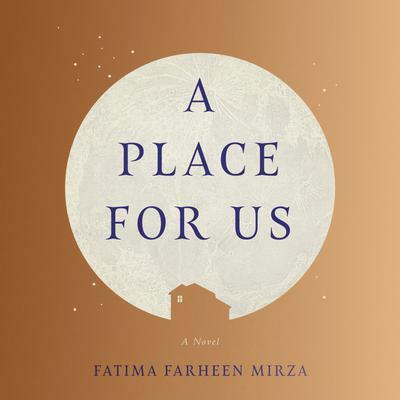 A deeply affecting and resonant story, A Place for Us is truly a book for our times: a moving portrait of what it means to be an American family today, a novel of love, identity and belonging that eloquently examines what it means to be both American and Muslim -- and announces Fatima Farheen Mirza as a major new literary talent. Karen Russell , author of Swamplandia! Fatima Farheen Mirza was born and raised in California. Her parents are of Indian descent; her mother grew up in Birmingham, her father in Hyderabad. She is a graduate of the Iowa Writers' Workshop, where she was a Teaching-Writing Fellow. She is 26 years old. A Place for Us is her first novel.